I had this said to me at a show last year. I was there exhibiting and storytelling. I asked why the man who spoke to me thought that. He replied that they couldn’t teach it, because it wasn’t politically correct, and they all had to learn about Africa or something. I was busy, and didn’t think too much on it. Then I saw the picture of the Magna Carta being sealed at Runnymede with the caption: “Share if you think British history should be taught in schools again!” It had thousands upon thousands of shares. 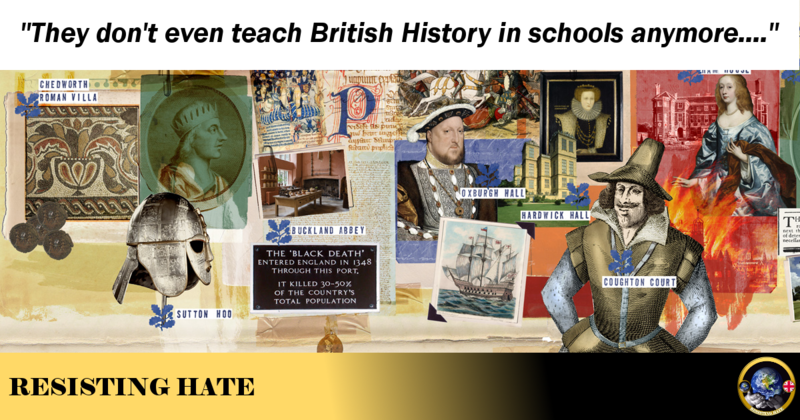 As many of you know I teach British history as a job. It’s not the best money out there, but people who do similar things do it for a passion for it. I’ve earned (something of) a living for the past twelve years or more teaching British history. If we didn’t teach it anymore I wouldn’t be doing it. But I am. I present that to people and if they have decided to follow the narrative presented to them, they just brush it aside. They outright ignore the inconvenient truth presented to them because to do otherwise would derail their anger. I beg to differ, these things will snowball. A year or so ago I fell out with a prominent folklorist. She is talented and has written some very interesting articles. She was once partnered with the Witchcraft museum in Boscastle. She started off reposting a S*n article about how our children are being denied the chance to learn British fairytales and folklore. She quoted a survey claiming many British children didn’t know the stories of Robin Hood or King Arthur anymore. I pointed out, politely, that this was not down to some covering up of our cultural heritage, but due to the times we live in. Children read less in their spare time. Parents, swamped by working all the hours in the day read less to them. Instead they have hundreds of channels, computer games and the internet at their fingertips. That was why the stories are being lost. I suggested anyone angry about this should read to their children if they could, perhaps take them to support their local storytelling shows, maybe visit a reenactment. I was told I didn’t know what I was talking about. I went on to tell them that as part of my profession I am often hired by town councils to tell stories. Each year I perform with a friend and colleague, among other tales, that of St George and the Dragon. I do this at several St George’s day events every year. I pointed out that a School I had worked with the year before from Luton, the majority of the children there being Muslim and many of them immigrants, had asked me for a Robin Hood story as they were doing it for their school play. I was called a liar. I was ignored so that the hate could be preserved, the anger could flourish. As time went on her posts got worse and worse. From hashtagging “It’s ok to be white,” to repeatedly pointing out the faults of the allies in WWII the slippery slope turned into a plummet. I was soon blocked as I disagreed with everything she was posting. Last I checked she is a full on, self identifying Nazi. Holocaust denying, white supremacist. One white supremacist is too many. But she has a large following. Although now much diminished (since her Twitter suspension) many of her followers echo her views, validated by the “scholarly” source they have for them now. Every now and then I go onto her Facebook page to see if there is anything that will earn her a ban. It usually takes me five minutes to get something. Four times and counting now I think. This is the power of lies like ‘They don’t teach British History in schools any more,’ They are there to garner interests, to plant seeds of anger and outrage. They are so easily disproved or beaten with reason that most people don’t bother. So it snowballs. 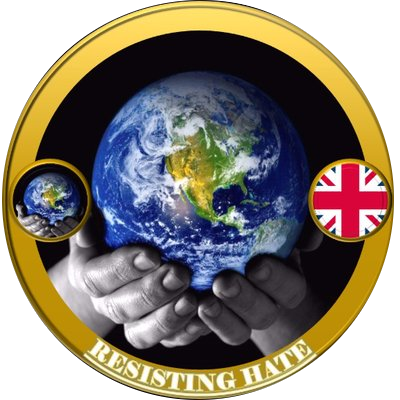 To the point where at best it gives genuine racists, bigots and xenophobes a focal point to agree on and upon which to concentrate their efforts and at worst it creates new haters. This is why sharing these seemingly harmless posts is anything but harmless. I honestly believe the spread of this divisive and inaccurate memes on social media is why we are so divided now, with so many seeming to flock further and further right. Bigotry, even from ignorance is never harmless. It always gets worse, and that is what the creators of these lies are counting on. No one is taking away our history. No one is trying to force a liberal agenda on you. If you honestly think our culture is slipping away then look to yourselves. Don’t share stupid posts that garner hatred. Instead teach your children new stories, visit castles and palaces. Read books or even better, go and visit the shows run by your local hard-up storytellers. They need the cash, they love talking about it and they love their history and culture every bit as much as you do. These people aren’t the harmless cranks they appear. Some are certainly cranks, but behind them lie a small, vocal, and well funded set of people with malevolent intentions. Social media has enabled them, oddballs who once posted photostated pamphlets from PO boxes in North Wales now reach a worldwide audience, and find like-thinkers to coach them to ever-greater extremism. It’s difficult to find a discussion forum which doesn’t have a contingent of Neo Nazi Trolls who will pollute any attempt at scholarship and seek to groom new participants. It has reached a point where I’ve lost the desire to attend any “living history” events, because these people will be there. I ask the question – who is ruining British History?